IC 3D is an end-user software for the capture of 3D data produced by The Imaging Source's stereo camera system. Unique in its flexibility, this stereo camera system can be used with a variety of industrial cameras from The Imaging Source and can be easily adjusted to new working distances and depths of field through the modification of camera distances and angles. The IC 3D software offers a convenient user interface for system calibration and the capture and visualization of 3D data. IC 3D allows a live display of any two The Imaging Source industrial cameras, regardless of the interface. All camera settings can also be made via the user interface. Camera settings made for one camera can be easily applied to the second camera without having to redo the settings again. 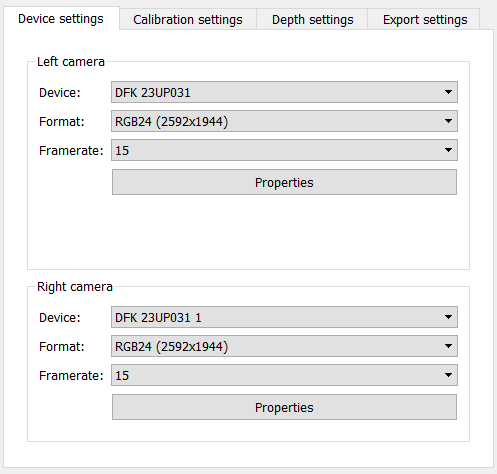 Camera settings can also be exported and imported. One of the core components of IC 3D is its user-friendly interface for stereo system calibration. Calibrate using either dot or checkerboard patterns. IC 3D visualizes the detected calibration patterns or notifies the user if no patterns could be detected. 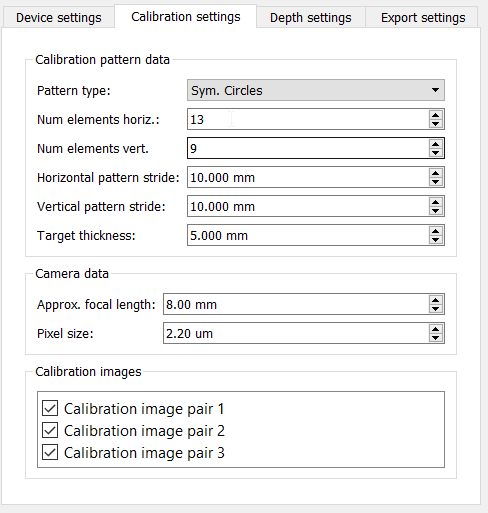 The calibration results can also be easily imported and exported via the user interface. In addition to calibration, the complete calibration data set including images can be exported and imported, (e.g. to later record additional images for calibration). Using stereo correspondences, IC 3D calculates a 3D point cloud of your scene. Either a CPU- or GPU-based algorithm are available to choose from. The GPU-based algorithm requires an Nvidia GPU with Compute Capability 3 and above. The acquired 3D data are visualized as a depth map as well as a 3D point cloud. In the 3D view, the camera poses are also visualized. Likewise, the calibrated measurement plane can also be displayed. The point cloud visualization can be colored either based on the camera data or on the distance to the measurement plane. In addition to the reprojection error, you can visually check your calibration results by visualizing the epipolar lines in the rectified image pairs. This is especially helpful when using lenses that produce high levels of distortion. 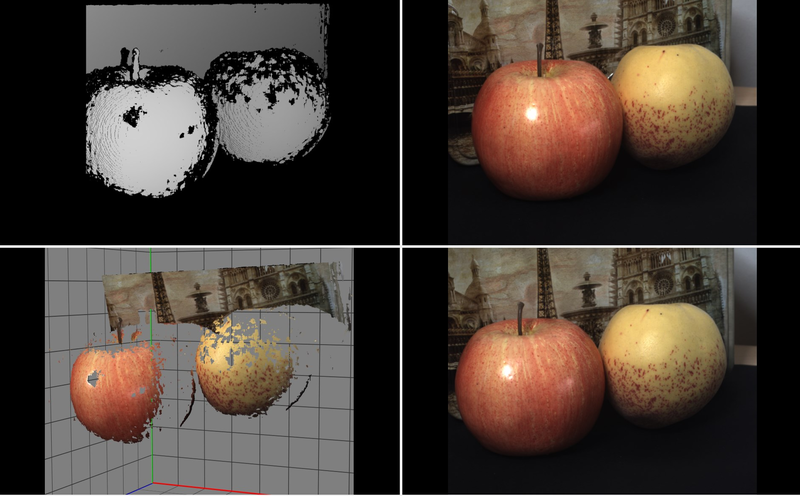 In addition to live display, IC 3D enables the acquisition of image and depth data. Single pairs or sequences can be recorded. The sequences are recorded either continuously, triggered by an external trigger, or by pressing a key. The 3D data is saved as a point cloud in .ply format. Recorded data can be loaded into IC 3D without a connected camera, so that depth estimation can be calculated at a later time.